What is the sweat chloride test? What is the aim of the sweat chloride test? How is the sweat chloride test done? What is done with the sweat? 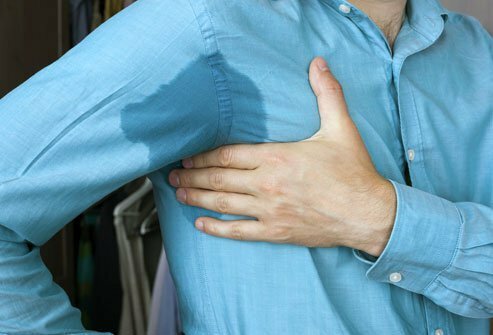 What are normal sweat chloride levels? What is the sweat chloride level in cystic fibrosis? What if the sweat chloride is intermediate (between normal and the usual cystic fibrosis levels)? Can a cystic fibrosis child have a normal sweat chloride level? Can the sweat chloride be high without having cystic fibrosis? The sweat chloride test is a common and simple test used to evaluate a patient who is suspected of having cystic fibrosis (CF), the most common lethal genetic disease affecting Caucasians. Cystic fibrosis is often clinically suspected when there is poor growth during infancy or recurrent serious intestinal or respiratory diseases in a toddler or young child. The genetic defect in cystic fibrosis affects the way chloride moves in and out of cells, and sweat contains chloride in the form of sodium chloride (salt). Measurement of the chloride in sweat has been the standard method for diagnosing cystic fibrosis for over 40 years. Because cystic fibrosis is so common, many states include testing for the cystic fibrosis gene as part of the Newborn Screen; however, sweat testing is still required to confirm the diagnosis. The goal of this test is to painlessly stimulate the patient's skin to produce a large enough amount of sweat which may then be absorbed by a special filter paper and analyzed for the content of chloride in the sweat. Patients with cystic fibrosis produce larger quantities of sweat chloride than normal individuals. To produce the necessary volume of sweat, a technique called iontophoresis is employed. The technique requires the application of a tiny (painless) electrical current that medically stimulates maximum sweat production. The patient's forearm is commonly used. However, in small infants, the back may also serve as an appropriate area to perform this procedure. The sweat chloride test usually takes about one-half to one hour. The sweat is collected on a specialized filter paper. After determining that enough sweat has been collected to ensure test reliability, the amount of chloride in the sweat is measured. This is considered a specialized test, and not all institutions have experience with the techniques, and poor collection techniques can result in false negative results. The normal sweat chloride values are 10-35 milliequivalents per liter. Patients with cystic fibrosis usually have a sweat chloride value greater than 60 milliequivalents per liter. Intermediate values between 35 and 60 milliequivalents per liter may be seen in some cystic fibrosis patients (and in some normal children). In those cases, the sweat chloride test should be repeated in the very near future. In a severely malnourished patient with cystic fibrosis, the sweat chloride level may be normal. However, once the malnutrition is corrected, the test becomes positive. There are a few rare conditions which produce a false positive sweat chloride test. Such situations include diseases of the adrenal, thyroid, or pituitary glands; rare lipid storage diseases; and infection of the pancreas. Generally, however, these children are easily differentiated from patients with cystic fibrosis by their clinical condition, and molecular tests for cystic fibrosis can be done to clarify the diagnosis. "Cystic fibrosis: Clinical manifestations and diagnosis"
Did you undergo a sweat chloride test? What was your experience? Cystic fibrosis is a disease of the mucus and sweat glands. Cystic fibrosis is an inherited disease. The outcome of the disease leaves the body malnourished, with bulky and fouls smelling stools, vitamin insufficiency, gas, painful or swollen abdomen, infertility, susceptible to heat emergencies, and respiratory failure. There is no cure for cystic fibrosis, treatment of symptoms is used to manage the disease.